(Worthy News) – Almost 7,000 people attended the joint Israeli-Palestinian memorial ceremony held at the Yarkon Park in Tel Aviv Tuesday night. The ceremony was organized by Combatants for Peace Movement in cooperation with the Parents’ Circle – Families Forum, an organization of Israeli and Palestinian bereaved families. The post Thousands attend Israeli-Palestinian Remembrance Day ceremony amid threats appeared first on Worthy Christian News. (Worthy News) – Israel released details on Tuesday about what it described as an Iranian “air force” deployed in neighboring Syria, including civilian planes suspected of transferring arms, a signal that these could be attacked should tensions with Tehran escalate. 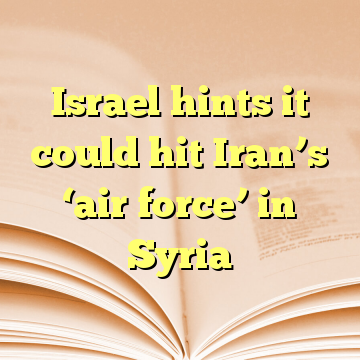 The post Israel hints it could hit Iran's 'air force' in Syria appeared first on Worthy Christian News. (Worthy News) – Rats may be the biggest rodents to plague New York City, but they may not be the germiest. Researchers recently made a disturbing discovery after studying mice in apartment buildings across the city in the past year: they’re covered in disease-causing bacteria. Tests conducted by a team from Columbia University on 416 mice collected in seven New York City-area locations in just over a year revealed house mice are “carriers of several gastrointestinal disease-causing agents,” including C. diff, E. coli and Salmonella, among others, according to a study published in the American Society for Microbiology on Tuesday. 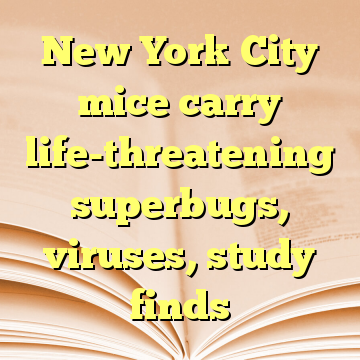 The post New York City mice carry life-threatening superbugs, viruses, study finds appeared first on Worthy Christian News. (Worthy News) – The Hillary Clinton Campaign and the Democratic National Committee allegedly used state chapters as strawmen to launder as much as $84 million in an effort to circumvent campaign donation limits, and the Federal Election Commission ignored complaints exposing the practice, a lawsuit filed Monday claims. 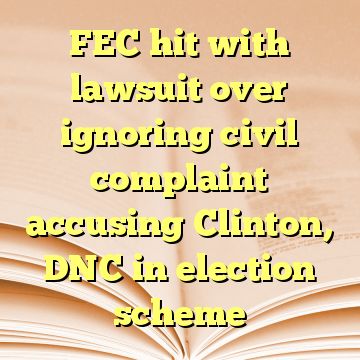 The post FEC hit with lawsuit over ignoring civil complaint accusing Clinton, DNC in election scheme appeared first on Worthy Christian News. (Worthy News) – Syria’s UN ambassador told the United Nations Security Council Tuesday that a UN security team traveled to the town of Douma, outside the capital Damascus, to ascertain whether it was safe for global chemical weapons experts to visit the site of a suspected chemical weapons attack last week that killed dozens. Bashar Ja’afari said if the team decides “the situation is sound,” the fact-finding mission from the international chemical weapons watchdog — Organization for the Prohibition of Chemical Weapons — will start work there Wednesday. 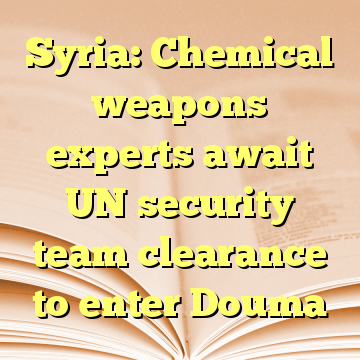 The post Syria: Chemical weapons experts await UN security team clearance to enter Douma appeared first on Worthy Christian News. (Worthy News) – Russia told the United Nations Security Council on Tuesday there was no point establishing a new inquiry to determine blame for chemical weapons attacks in Syria because the United States and its allies had already acted as judge and executioner. The 15-member council met for the sixth time in the past nine days on Syria as Russia and Western powers face off over a suspected chemical weapons attack in Douma that sparked air strikes by the United States, France and Britain. Russian U.N. Ambassador Vassily Nebenzia rebuffed the new Western bid for an investigation. 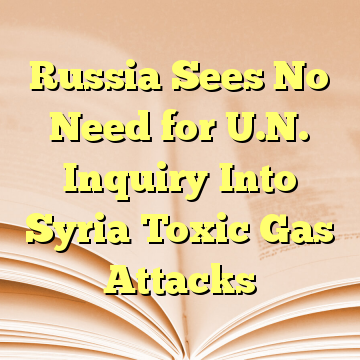 The post Russia Sees No Need for U.N. Inquiry Into Syria Toxic Gas Attacks appeared first on Worthy Christian News.